When travelling, we understand that you might not always want to follow the same “must dos” you see in every guidebook or on every travel blog, especially when you only have 24 hours at your disposal. What you might want to do instead, is learn something new, take a few steps out of your comfort zone, feel some excitement, and, for the most part, have loads of fun! Prague is a magical place filled with hidden gems, off-the-beaten path bars and cafes, and amazing things to see and do at what feels like every turn. Only have a time for a short visit? 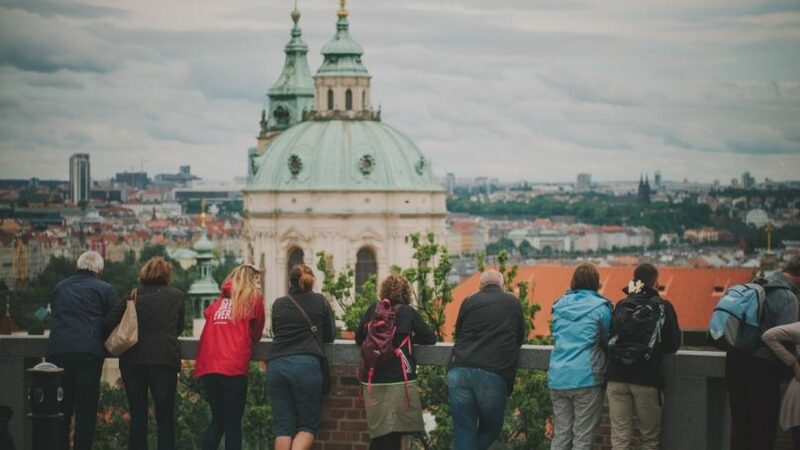 Our local Prague tour guides know exactly where you should go to maximise your time and make the most of a 24-trip to the city. Start your day in Prague with breakfast at Café Savoy, a legendary place with some good quality coffee. Go for around 8am and greet the people there with “dobré ráno” (good morning). Whatever you order at Savoy, you know what you’re getting will be top-notch quality and worth the value. Once you step out of the café, you might notice there is a bit more traffic in the street as the city starts to wake up. 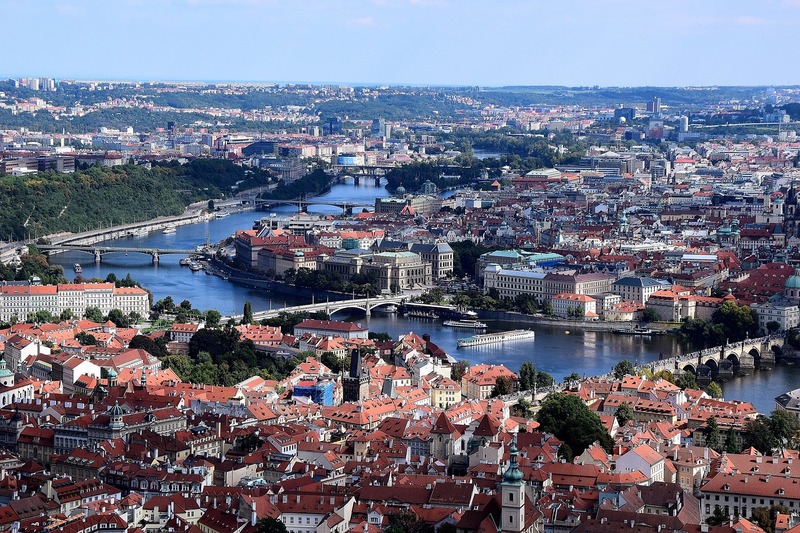 If you prefer natural sights, walk to Vrtbovská Zahrada, a baroque garden in the centre of Prague, and while all the tourists are at the popular Wallenstein Garden or the Royal Gardens, you will enjoy the amazing view undisturbed. There is a small entrance fee of CZK 70. Hop on tram number 12 and head towards Letná Park. If you would like to bring some snacks with you to enjoy at your next stop, we suggest a hidden gem near Charles Bridge: Café Kafíčko, where you can choose from a wide range of pastries, all of which you can get as takeaway. With a snack in your pocket, hop on the tram at Malostranské náměstí. (By the way, the modern trams of Prague are built by Škoda but designed by Porsche, so we can actually brag that we ride Porsches on our public transport!) Enjoy the view from the tram and get off at Chotkovy Sady. Follow the ticking sounds to the monstrous red needle going back and forth. That’s our metronome, symbolising the ever-changing times and instability. Stay for a bit and look around from a perch on the big wall by the metronome. Sitting at the edge of a wall might seem a bit dangerous – after all there’s quite an abyss below – but no worries, the iron bar is there to prevent any potential falls. The surprisingly calming sound of the metronome is almost hypnotising, until you feel yourself slowly merging with the view of Prague in front of you: the river, the red roofs and the sounds of the city. From there, take either a scenic 40-minute walk or a quick taxi ride (depending on how you’re feeling) to the wonderful Farmers’ Market at the square of Jiřího z Poděbrad, or as we call it, “Jiřák.” Note: the market is only open from Wednesday to Saturday. If it’s open, browse the many stalls and soak up the atmosphere that can only really be experienced in person. If you’re not visiting on a market day, the square is still worth a quick stop to do some people-watching or to check out the surrounding architecture. From the square, take the green metro line to Naměstí Míru, which will also mean taking a ride on one of the longest escalators of Europe upon exiting. Head to Nota Bene, which serves delicious Czech cuisine with a fresh, modern twist. There are top-notch beers on tap from various mini-breweries and delightful wines from Moravia. Their menu is in Czech only, but no worries, the local staff will gladly give you a hand. If you are fed up with Czech cuisine (or just want to try something different), you might want to try a restaurant called Mozaika Burger & Co. instead, which offers some of the best burgers in Prague. Another option would be Café Sladkovský, a small restaurant and café with excellent slow-cooked food that is well worth the wait. After lunch, take a walk around the lovely neighbourhood of Vinohrady. You will see plenty of tiny cafés, cosy restaurants, and small shops with locals busying themselves while you enjoy a peaceful stroll around this bohemian district. If you feel like having a drink or a snack, Café Sladkovský may be the place for you. They have some nice desserts, so stop for a brief rest and watch as people come and go, and soak up the modern bohemian vibe. Following your coffee break, spend some time strolling through Havlíčkovy Sady, a popular park in the area. When you’ve had enough of nature, it’s time to explore another lovely establishment: Restaurace Kulový Blesk (The Thunderbolt). You might need to be a bit of a beer-lover to fully appreciate this place, but we’re pretty sure you will enjoy it even if you don’t feel like ordering a pint. If you can, book a table in advance; it’s packed with locals no matter what day it is. If you aren’t hungry yet, they have 27 kinds of beer on tap, all of them worth trying. 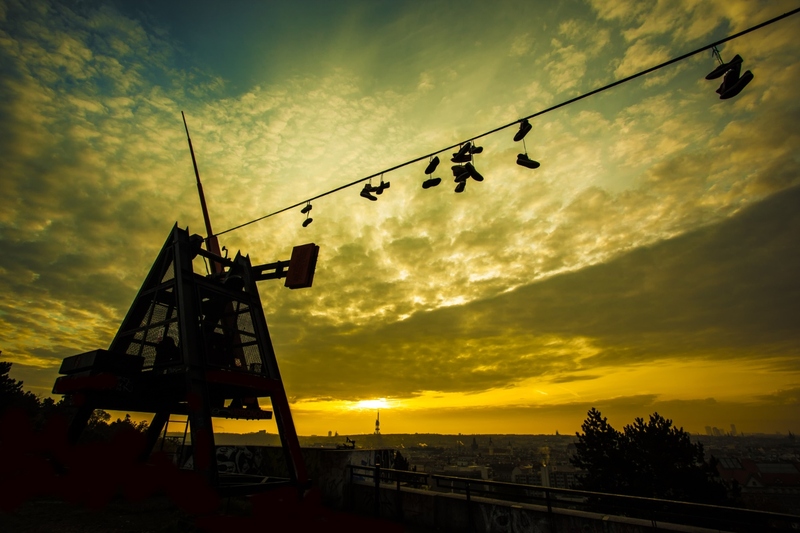 (Why is it that the team from Prague Urban Adventures talks so much about beer? If you want to find out, we will gladly explain on our Beer Tour.) This place also has good pub food, so it’s also a nice spot to stay for dinner and then linger over another drink or two. If you’re not tired yet, why not walk to the river, sit by the riverside, and watch the beautifully illuminated city? During the summer it’s a truly unique place full of stands offering food, beer or wine with street musicians all around and a floating dock with even more street food. There is a great atmosphere here, and the fun sometimes goes till early morning. Go ahead and see for yourself (depending on what time your flight is). For travellers on a short visit, we’d recommend having a layover that will allow you to spend two hours in the city centre, and another hour for travelling to and from the airport. The best way to get from the airport to the sites is by taking the bus to the metro, which then gets you easily into to the city centre. You’ll be taking bus number 119, which will take you to Nádraží Veleslavín (on metro line A) in about 15 minutes. 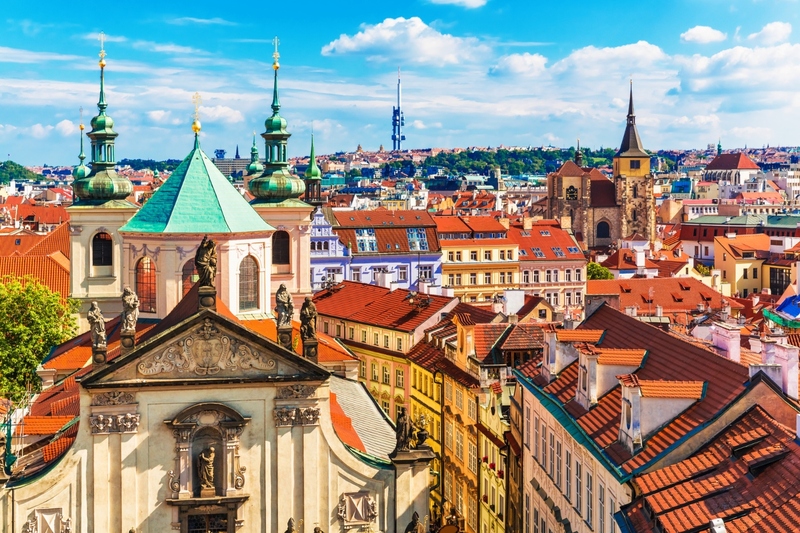 If you want to see Prague for two hours in the morning or afternoon, we suggest spending some time exploring scenic Old Town Square and stopping at one of the many bars or cafes for a drink and a something to eat before your flight home. If you want to see Prague during an evening layover, make your way to Letná Beer Garden in leafy Letná park to have an outdoor beer among locals and maybe get a street snack. If you’re visiting during colder months, instead spend your evening layover exploring the Old Town and warming up in one of the area’s many cosy bars.